Hayneedle.com is an easy-to-navigate website, which includes 220 stores and counting. Each devoted to a single product category. Best of all, you can shop all of them with one global shopping cart. From hammocks at hammocks.com to dart boards at - you guessed it - dartboards.com, Hayneedle dives deeply into selection; each store showcases true variety. Unlike brick and mortar retail stores that are limited by shelf space, Hayneedle has virtually endless space. This allows our buyers to search the globe for the finest selection, best value, and unparalleled choices in products for your home, work, and play. 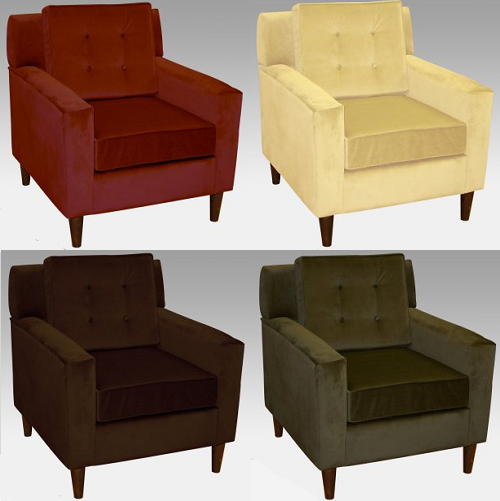 Where you might see eight or nine styles of bar stools at a retail store, our bar stool site features over 900 styles. And the five or six patio furniture sets at the local garden store? Try 200 at patiofurnitureusa.com. But it's more than larger selection; it's distinctive products that help you create the inviting spaces you envision for your home. Start with a unique, 50-bottle wine rack at ewineracks.com, then head to greathomebars.com for that rich oak bar you've been dreaming about, and barstools.com for a set of matching swivelers. Don't forget extra seating - visit clubchairs.com and add a couple of buttery soft leather chairs, and greatpubtables.com for the perfect tile-topped table. Finish it off with a luminous leaning mirror from simplymirrors.com ... and when you're ready, you'll love the one-stop, simple checkout. It couldn't be easier to create the living spaces you've always wanted. Combine this with the most knowledgeable, energetic, and friendliest Customer Care department, and Hayneedle becomes your one place to shop for everything related to your home, work, and play. I absolutely adore shopping at Hayneedle, they have the most extensive collection of item's and I can browse at my own convenience from home. One of my favorite thing's about Hayneedle is that they offer free shipping on so many item's! Making shopping their selection of larger furniture pieces like Accent Chairs, Chaise Lounges, and Ottomans the obvious choice. Normally these items can be be costly to ship at other stores, however, Hayneedles Free Shipping offers on so many great items gives me the freedom to choose a gorgeous piece of furniture,and have it delivered right to the door quickly and easily (ccompletely eliminating the need to find some way to get the item home). Every experience that I've had with Hayneedle has been wonderful, the item's are always as described (and then some) and of the highest quality. Browsing through the various sections of Hayneedle, the Skyline Crate Arm Chair (pictured above top) immediately caught my eye. 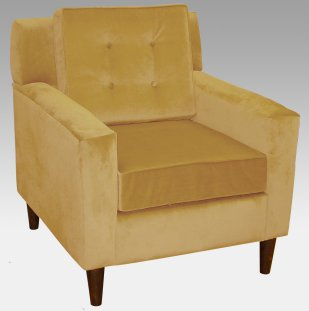 With an inviting design, and a plethora of color options I knew that this chair (in the honey color option) would fit well in our living room space and perfectly compliment our decor (free shipping is also available on this item). Upon arrival, I immediately took the chair out of the box, and easily and quickly put the arms and wooden feet on the chair.......and I was ready to test it out! First, I have to note that the micro suede it gorgeous, and so soft! The smooth lines of the chair, along with the tufted button details on the cushions combine to make this chair not only extremely comfortable (seriously, I have declared this chair as my chair), but also the perfect touch to any living space. Hayneedle is by far my favorite place to shop for home furnishing's. With amazing quality and incredible prices, shop Hayneedle! I'm confident you'll be just as impressed as I am! With furnishing's for both indoors and out, Hayneedle has something to cozy up every area of your living space. Spring is just around the corner (thank you weather gods for the tiny glimpse of warm weather last week! ), wouldn't you just love to lounge around the yard during the warmer months in one of these beautiful Big Daddy Reclining Adirondack Chairs with Pullout Ottoman? Of course you would! 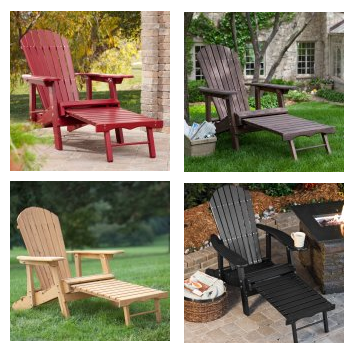 One Lucky Reader will receive a Big Daddy Reclining Adirondack Chair with Pullout Ottoman in their choice of finish (Dark Brown, Black, Red, or Natural)!